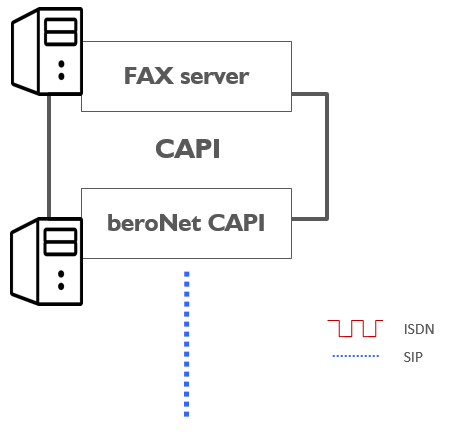 According to the website capi.org, "COMMON-ISDN-API (CAPI) is an application programming interface standard used to access ISDN equipment connected to basic rate interfaces (BRI) and primary rate interfaces (PRI)." I personally did not understand the definition the first time I read it. Let's try to understand. CAPI was developed in the 1990s when ISDN was the telecommunication standard and the best way to communicate. Connecting a telecommunication software to this network was thus very important and ISDN cards manufacturers made a lot of money. The same idea applied for fax-servers. 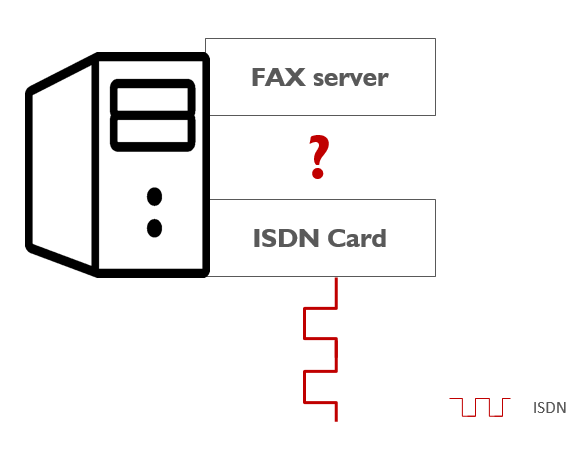 Fax-Server vendors were typically not the ISDN Card manufacturers, thus they needed to implement drivers for different ISDN cards to be able to use the digital Network. As the number of ISDN cards and Fax-servers manufacturers grew, the existence of a common standard providing compatibility between all hardware and software components became necessary. As the fax server and the ISDN card are not compatible with each other, the idea was to create a layer in between. Both sides would need to be compatible with this layer. This "application programming interface" (API) is the layer that makes it possible for the fax server to be compatible with the ISDN card. 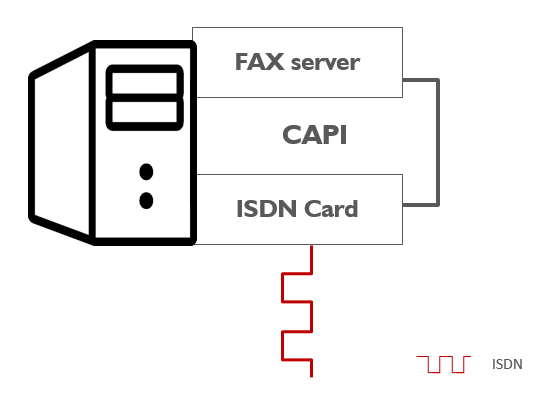 In countries where ISDN was popular (like in Germany), ISDN cards were usually delivered with a CAPI software in order to connect the card to other programs. 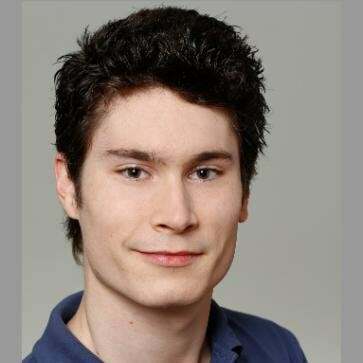 The CAPI_SOHO is a software which can be installed on a windows computer. It connects to ISDN via the beroNet VoIP Gateway. 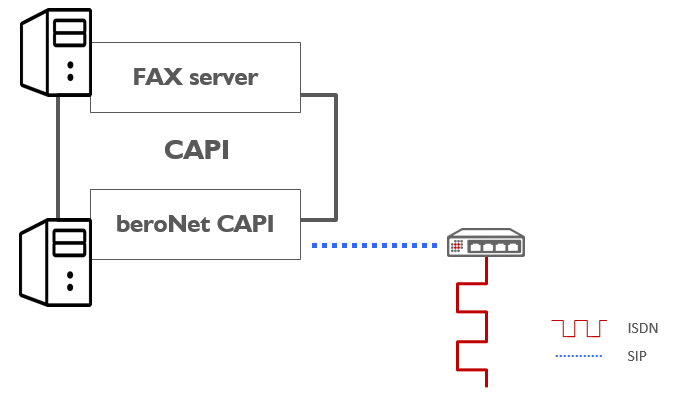 The CAPI_business edition connects the FAX server directly to a SIP trunk of a VoIP provider. With the end of ISDN, most end customers will probably look for such a solution until fax servers are directly compatible with SIP.